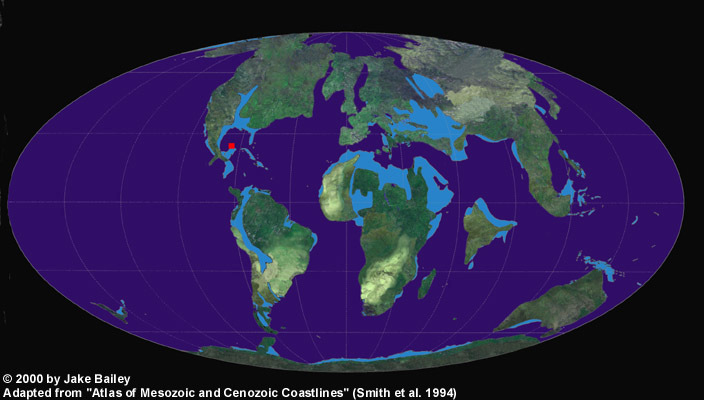 The Earth’s continents were very different in the Cretaceous period. 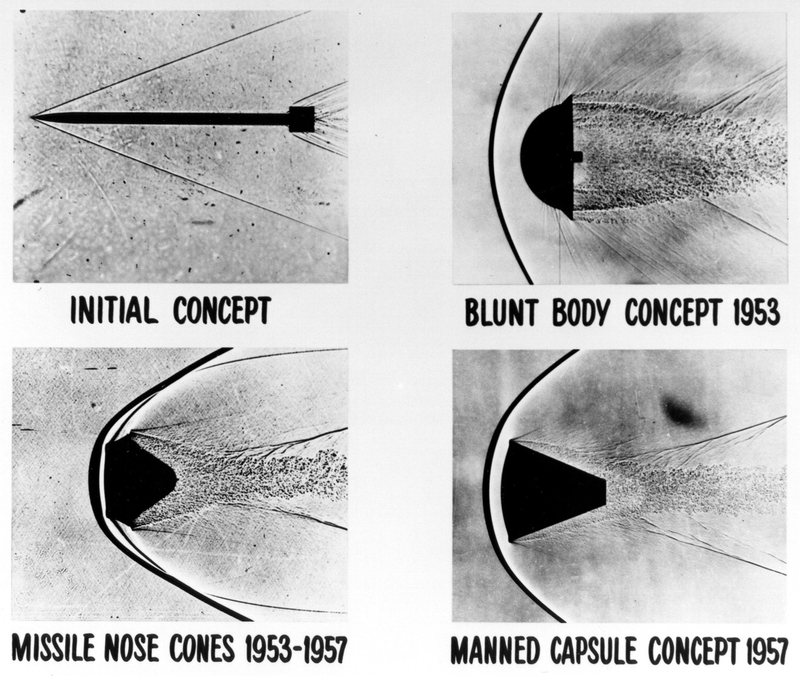 Blunt bodies were found to reduce the heat loading on the re-entry vehicles due to the shock wave forming ahead of the vehicle. 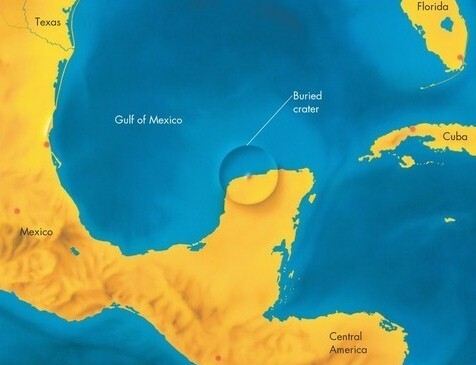 The most likely site of the K-T impact crater is currently considered to be the Chicxulub crater (shown as the red dot in this simulated map of the Cretaceous era continents).